For over 15 years, RJB Tax Associates has been helping individuals and businesses with their tax eturns. Now, we offer tax preparation services to Hampstead, Wilmington, Leland, and surrounding cities in New Hanover County, Pender County, and Brunswick County. 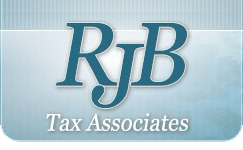 Whether you are an individual taxpayer, a small business owner, a partnership, a large corporation—or simply have complex tax needs—RJB Tax Associates can help. 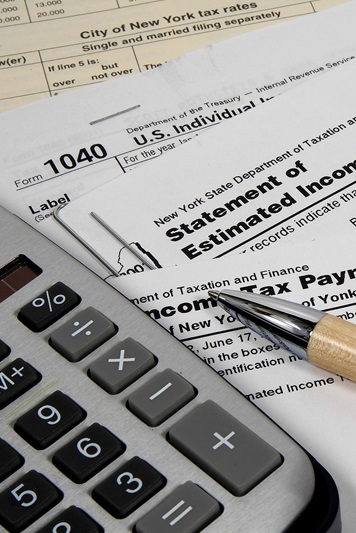 Our tax preparation services are customized to fit your needs as a tax-paying entity. We pride ourselves on continuously offering the most efficient and accurate processing of your taxes. We use the latest software and ensure each of our team members has the financial knowledge and acumen to accurately process your returns. In addition to our services, we make submitting your tax return as simple and stress-free as possible. We offer pick-up and drop-off service: You simply leave us all the necessary paperwork for your tax return and we’ll notify you when filing has been done. Our Hampstead offices are convenientely located in the Hampstead Village shopping center and our Leland offices are located in the new Waterford of the Carolina. We also offer electronic filing for our customers, adding to the level of service we provide our clients. By electronically filing your taxes, you ensure accurate and secure transmission of your tax information to the taxing authorities, receive proof of filing acknowledging when your return is received and accepted, and a faster processing of your refunds. Preparing your own income tax return can be a task that leaves you with more questions than answers. According to a study released by the US Government's General Accounting Office last year, most taxpayers (77% of 71 million taxpayers) believe they benefited from using a professional tax preparer. Unfortunately, today's tax laws are so complicated that filing a relatively simple return can be a bit confusing. It is very easy to overlook deductions and credits to which you are entitled. Even if you use a basic software program, there's no substitute for the assistance of an experienced tax professional! What is included? Your tax return will be checked and rechecked by our computer software identifying potential problems the IRS may look at more closely and reviewing the math to limit IRS contacts. We will show you potential deductions to limit your tax liability for next year. In addition, we will give you a sheet of commonly overlooked deductions to limit the following year's tax liability. Your tax return can be filed electronically so you will get a refund back quicker (8 to 15 Calendar days). If you own a small business and haven't kept up your bookkeeping, don't worry! Our firm can prepare your bookkeeping for the year, prepare a full Schedule C, and your personal income tax return. We will then help you set up an easy system that allows you to keep your books in great shape for next year’s tax return preparation. Capital gains (and losses) tax estimator. Compare taxable, tax-deferred, and tax-free growth.